Philadelphia is the place where the Founding Fathers of the United States met; where, in 1776, they signed the Declaration of Independence; and, in 1787, the Constitution. “Wandering around Philly you can feel its historic importance”, explains Laetitia. “The streets are perfect for an afternoon stroll, exploring iconic locations like the house of Betsy Ross, creator of the first American flag, and the pretty cobbled streets of Elfreth’s Alley. Philadelphia has a list of illustrious firsts: it has America’s first hospital, theatre, daily newspaper, computer and even zoo. This precociousness is in keeping with the pioneering spirit in which it was founded by William Penn, a Quaker who, having experienced religious persecution, wanted the city to be a tolerant place that was unafraid to do things differently. Its name is even derived from the Ancient Greek words for brother (adelphós) and beloved (philos). Today tolerance and innovation are still visible everywhere, from big sights such as the city’s Liberty Bell, an iconic symbol of American independence, to community gems, like the Magic Gardens. Along with the Liberty Bell and “Rocky” films, the Philly cheesesteak is one of the most well-known things to come out of the Pennsylvania city. A cheesesteak is a long bread roll, preferably an Italian Amoroso roll, filled with sautéed rib eye beef and melted cheese. Other toppings can include fried onions, mushrooms, ketchup, mustard, and hot or sweet peppers. The cheesesteak was invented in 1930 by Pat Olivieri, a hot dog vendor. Legend has it that it was a taxi driver that first requested the variant and, having sampled it, told Olivieri to leave hot dogs behind and focus on steak sandwiches. 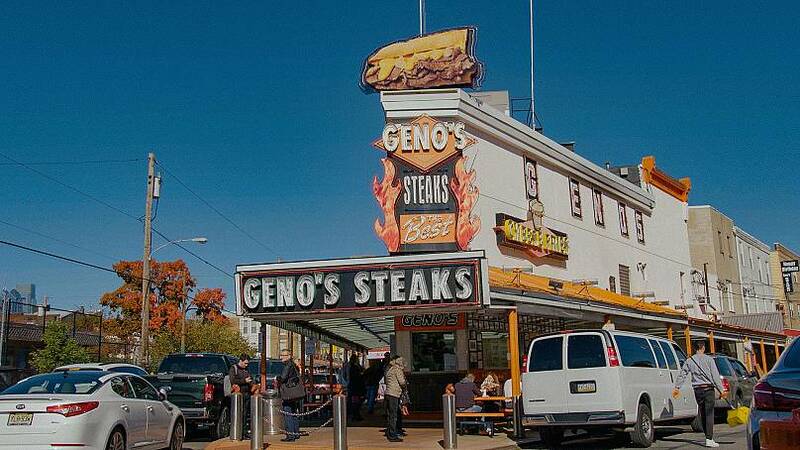 Today the cheesesteak has become an attraction of its own, with multiple renowned locations for visitors to sample and compare wares, open 24 hours a day. So to help you get exploring, here are a selection of highlights from around the city. 1.Philadelphia’s Magic Gardens were created by Isaiah and Julia Zagar as part of a move to revitalise the city’s South Street neighbourhood. 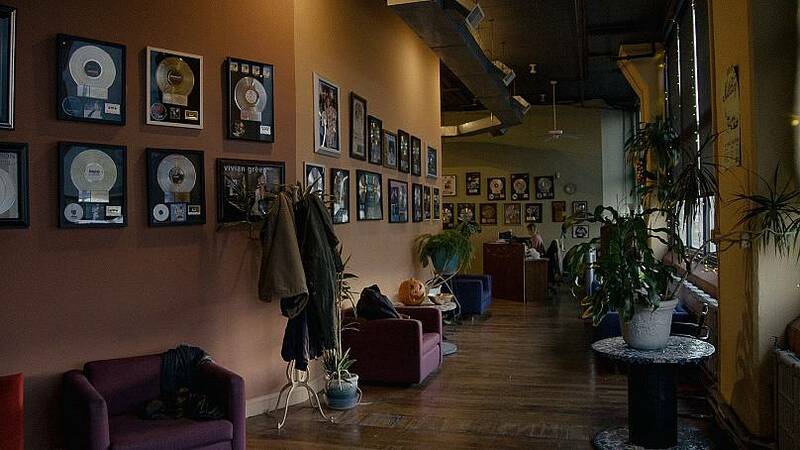 Working with other members of the community, they transformed the area into a haven for artists, giving rise to the term “South Street Renaissance”. The Magic Gardens is home to beautiful mosaics made out of found objects, an outdoor sculpture labyrinth and indoor galleries and, like Laetitia, you won’t be able to resist being sucked into the energy of the place. 2. 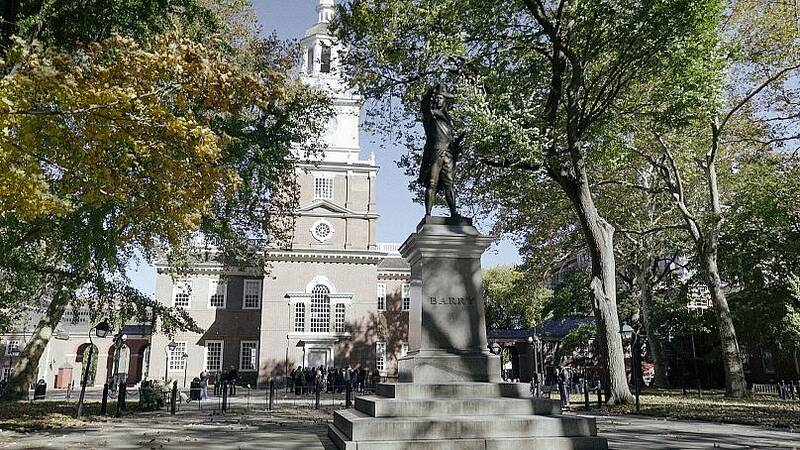 The Declaration of Independence and the US Constitution were both signed at Philadelphia’s Independence Hall, so this national monument is quite properly the place where the USA’s current story began. On one site you can visit the hall itself, as well as the Benjamin Franklin Museum and the world-famous Liberty Bell, rung in its time by slavery abolitionists and advocates for women’s suffrage. 3.The Milkboy Cafe is a bar, restaurant, music venue, a world famous recording studio, and, as Laetitia discovered, the perfect place to get over jet lag. Located on the corner of 11th and Chestnut, Milkboy opens at 7 in the morning and doesn’t close its doors until the late night music scene draws to a close. It caters for every taste, offering three meals a day and every snack in between. 4. In this city every spare wall is a potential canvas. ”I loved the huge murals in the city centre,” said Laetitia. 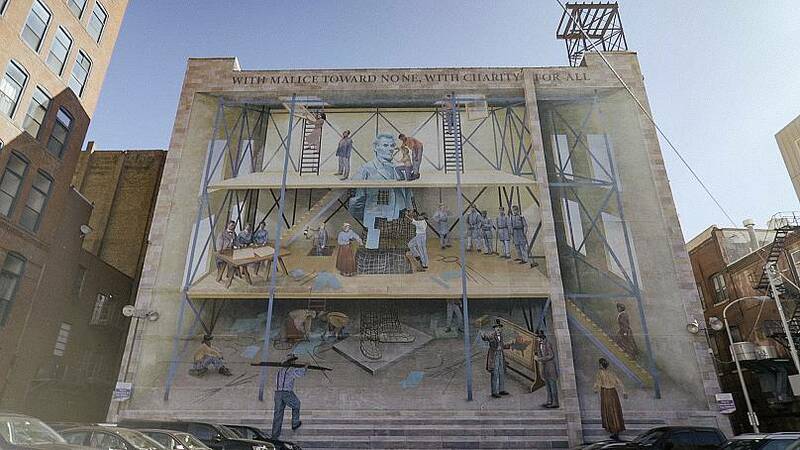 In fact, it was the Mural Arts Philadelphia project that transformed Philadelphia into one of the world’s largest art galleries. 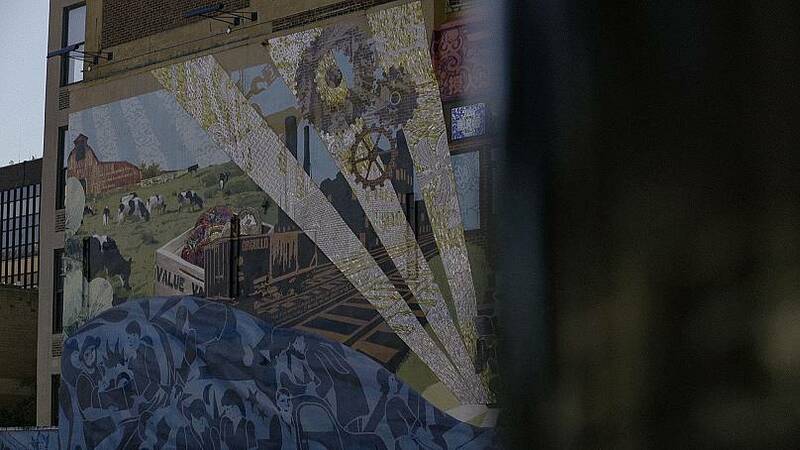 Iit has created more than 3,600 city murals since 1984, uniting artists and local communities. Explore them on your own or with a guided tour. 5.Reading Terminal Market was established in 1893 and is housed in a building that has become a national historic landmark. You will not go hungry when you visit: indeed, you may struggle to choose between the array of foods available, including locally-sourced meat and poultry, seafood, cheese and baked goods. 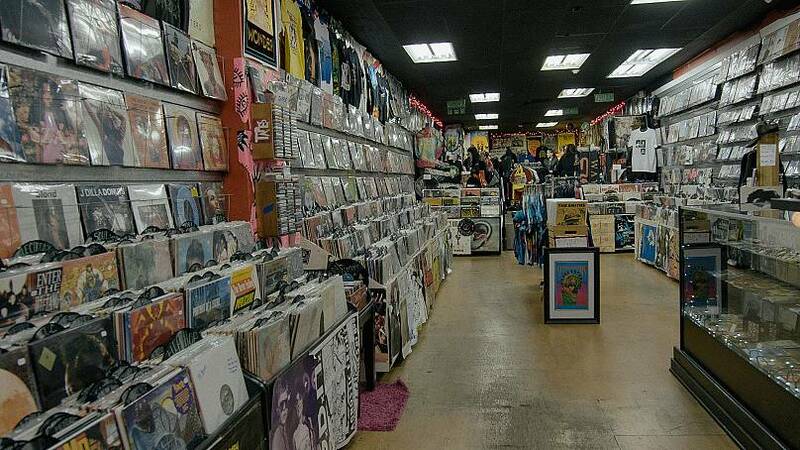 We’ve put together a locally inspired soundtrack to accompany your visit to Philly. • The obvious place to start is with Bruce Springsteen’s “Streets of Philadelphia” (1994), written for the 1993 film Philadelphia. • Bill Haley and the Comets released “Rock Around the Clock” in 1954, and it quickly became one of the most important records in rock’n’roll history. • The Clara Ward Singers built on Clara Mae Ward’s success as a gospel singer and released a number of pop singles, including 1972’s “Lean on Me”. 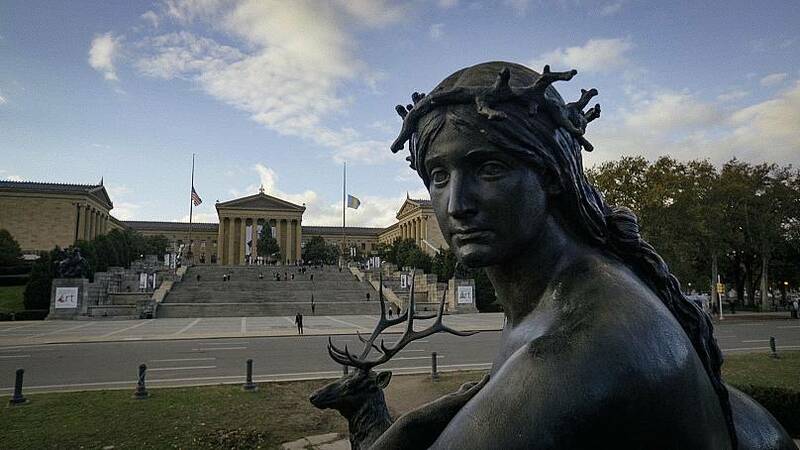 • Rocky’s theme: Bill Conti’s “Gonna Fly Now”, is another iconic song for Philly, which highlights the steps of the Philadelphia Museum of Art. • No Philadelphia playlist would be complete without a song by legendary jazz musician, John Coltrane. “Psalm” (1964), from the album A Love Supreme, is an excellent example.